you save 10,00 € (50,13%). The device measures the alcohol content in exhaled air and displays it. 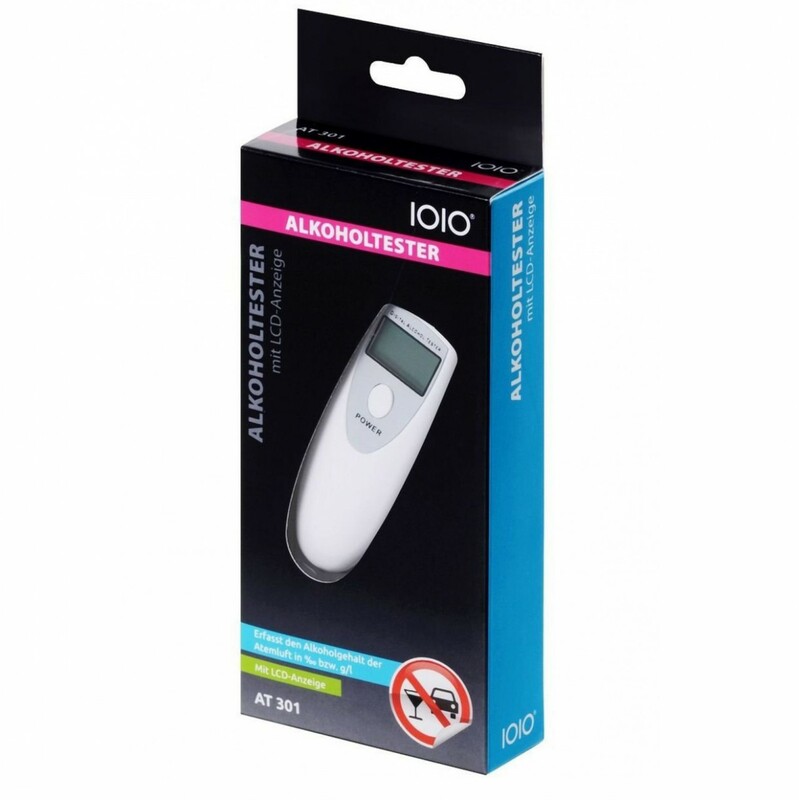 The LCD will show current breath alcohol concentration in ‰ (parts per thousand) or g / l.
AT 301 reminds the user of the dangers of driving under the influence of alcohol.